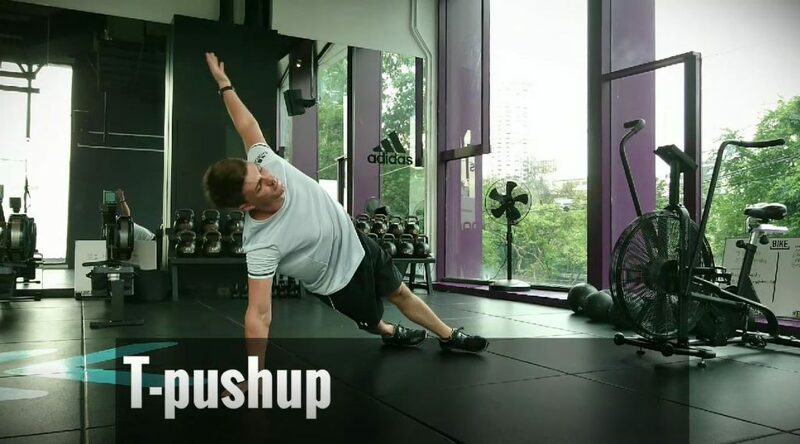 Building off the popularity of the Mix & Match Travel Workout I’ve created the Total-body Hotel Room Workout Program that can be done without any equipment at all. 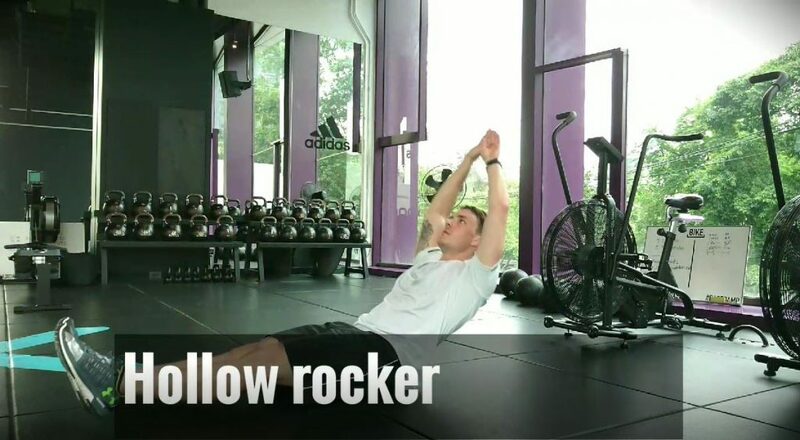 If you missed the previous workout Johnny requested, have a look here. It’s an easy to follow mix & match travel workout that uses any equipment you might find at a park or on your back. I also give some easy to follow tips on how to eat while traveling and not blow your diet! There are three workouts in this program. 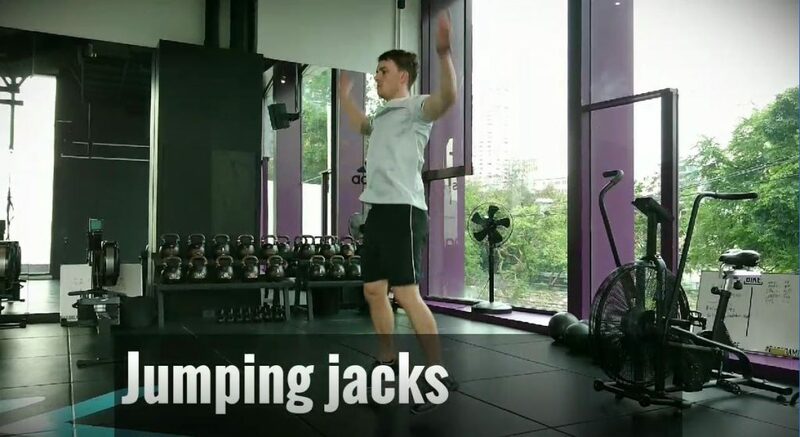 The first two are strength focused and the third one is a HIIT circuit focused on burning fat. Each one will take 30-40 minutes and can be done anywhere. I recommend alternating the strength workouts every other day two or three days per week. You can do the HIIT circuit on any non-strength training day. It’s really up to how you feel and what your body is capable of handling. Trained individuals will have no problem doing the strength workouts daily. Others may want to limit the strength workouts to 2x per week. Listen to your body and act accordingly! The HIIT circuit is based on timed sets. You’ll be doing 40 seconds of work followed by 20 seconds of rest. HIIT stands for High-Intensity Interval Training. That means you need to put in the maximum effort possible when performing these exercise. 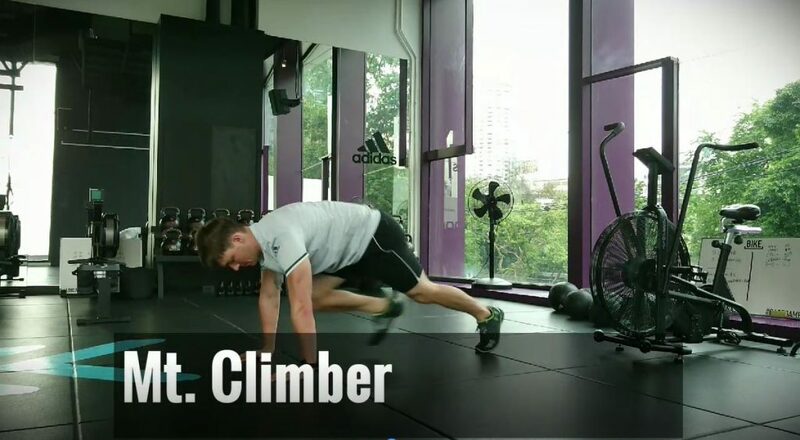 This will really kick the fat burners into overdrive which will keep you burning calories for hours after the workout. If you’re swimming in a pool of sweat after this one, you’re not doing it right ;). 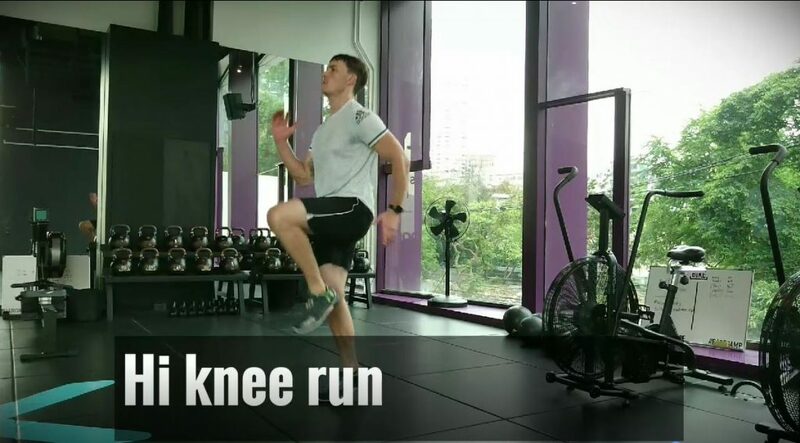 The warmup is essential to making sure you get an effective workout and more importantly, prevent injury. 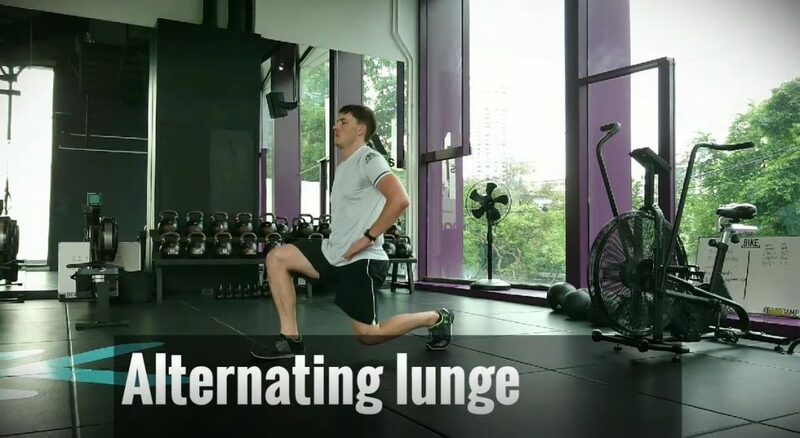 Spend about 3-5 minutes minimum warming up with this simple routine. 8-12 reps for each of the following exercises will be plenty. 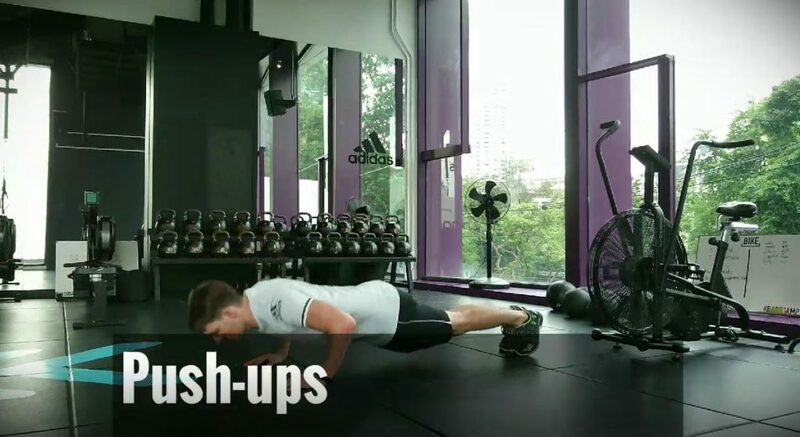 This workout contains three supersets. Supersets are two exercises performed one after the other for the prescribed number of sets. You can rest about 30-45 seconds between each exercise or just enough to catch your breath. 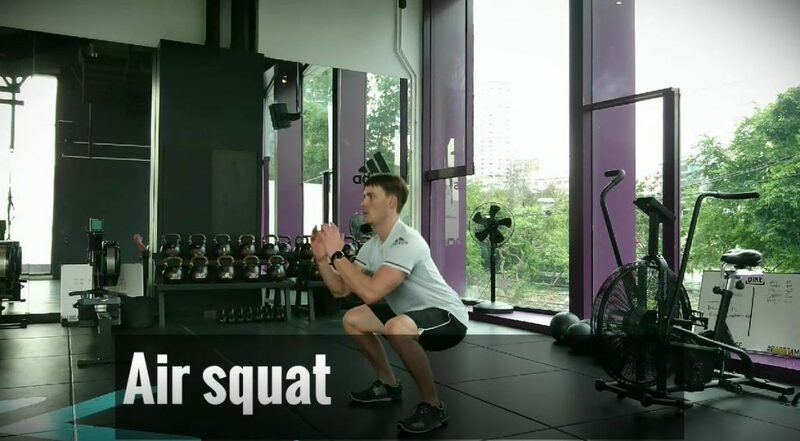 You will start with Bulgarian Split Squat and T-Pushups for the first superset. Do 8-15 reps per side per exercise depending on strength and ability. You will go back and forth between these two exercises for three sets then move on to the next superset. 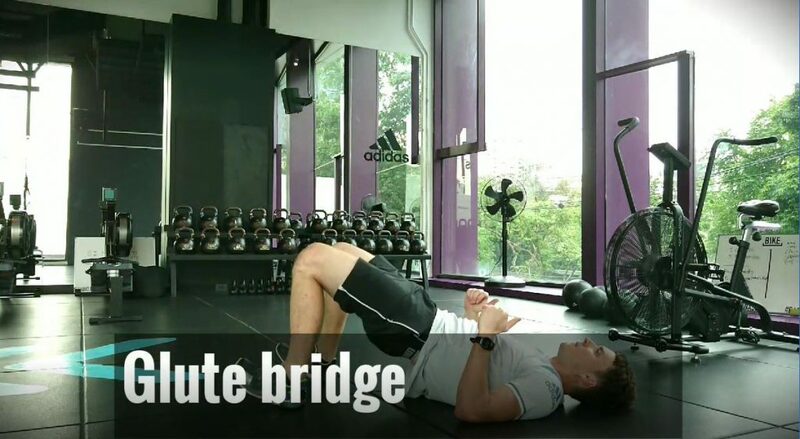 The next superset is Glute Bridges and Alternating Feet and Arm plank. Again, do 8-15 reps and repeat for three sets before moving on to the next superset. 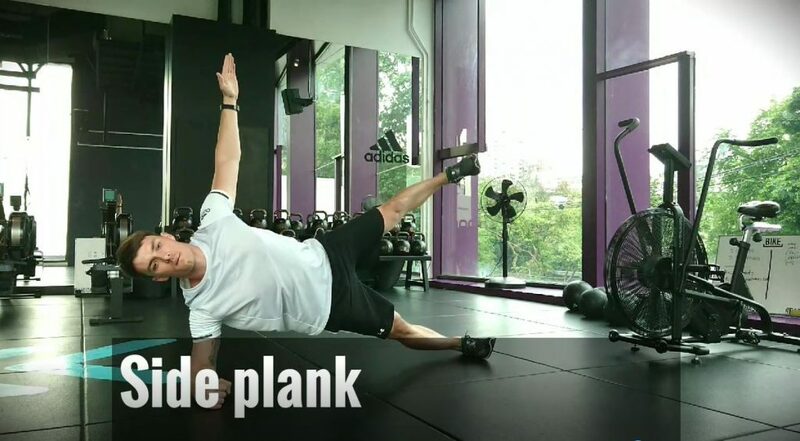 Finally, you will finish with Side Plank and Floor Raises. 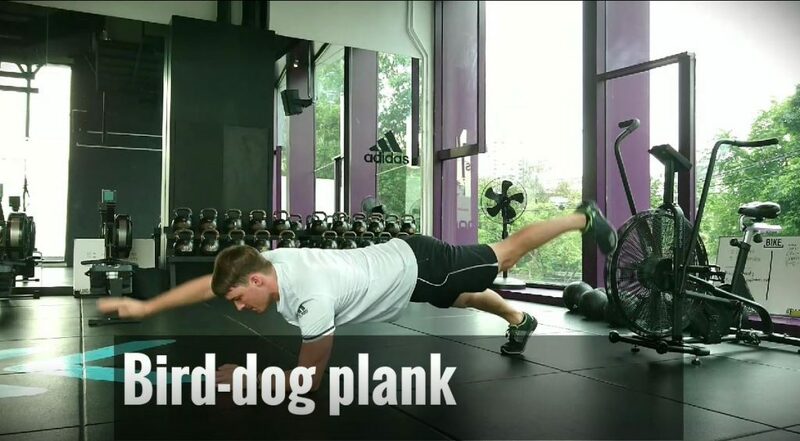 Hold the side plank for 30-60 seconds per side. There are three positions for the floor raises. 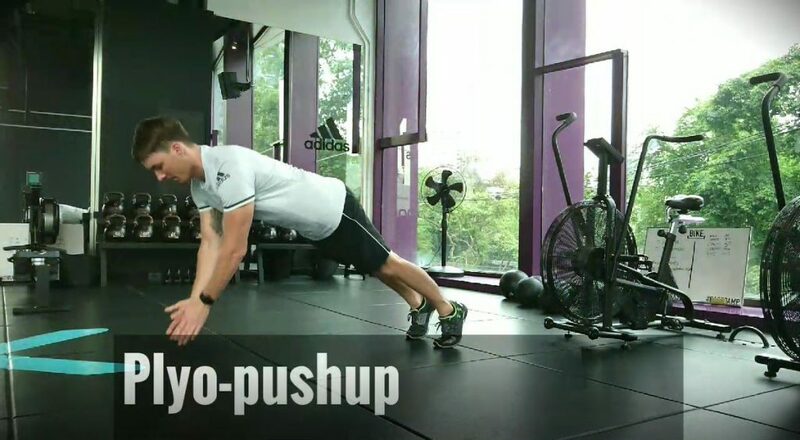 Do 8 reps in each position. Three rounds on this superset as well. 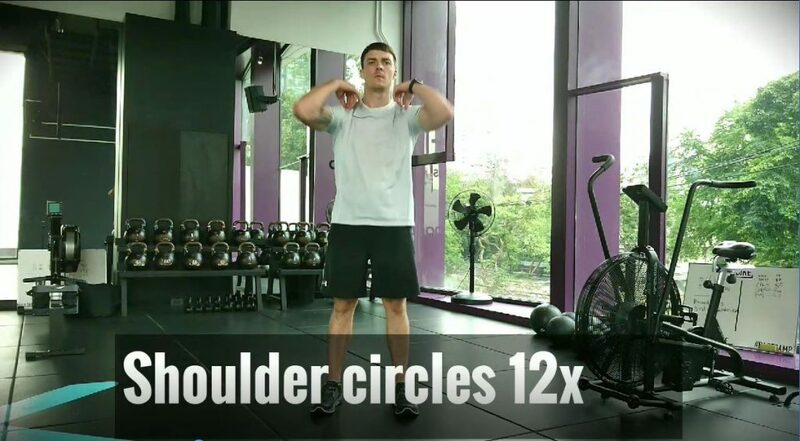 Just like our previous workout, this one also contains three supersets. You can rest about 30-45 seconds between each exercise or just enough to catch your breath. 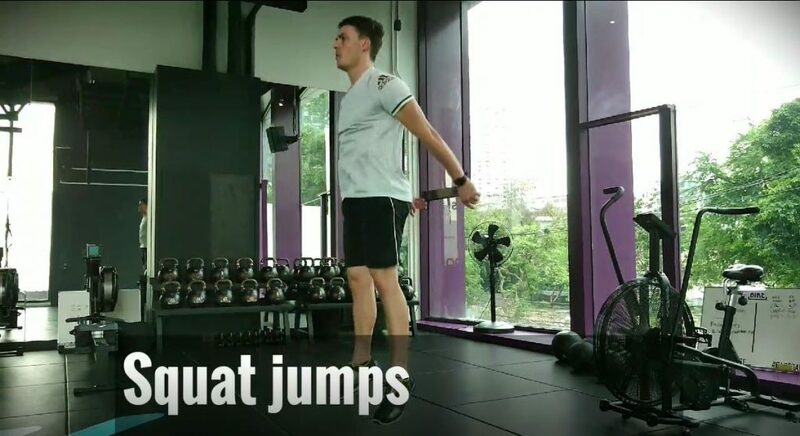 For the first superset, you will start with Squat Jumps and Plyo Pushups. 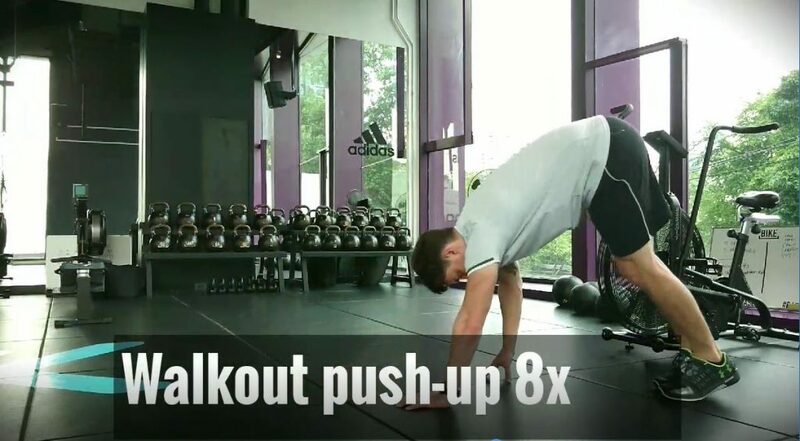 Do 8-12 reps per exercise depending on strength and ability. You will go back and forth between these two exercises for four sets then move on to the next superset. 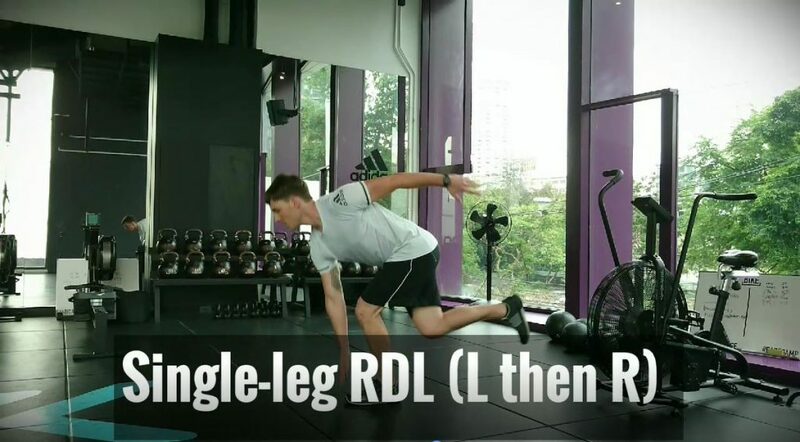 The next superset is Single-leg Glute Bridges and Hollow Body Rocker. Again, do 8-12 reps and repeat for three sets before moving on to the next superset. Finally, you will finish with Pike Press and Supermans. Again, do 8-12 reps and repeat for three sets. 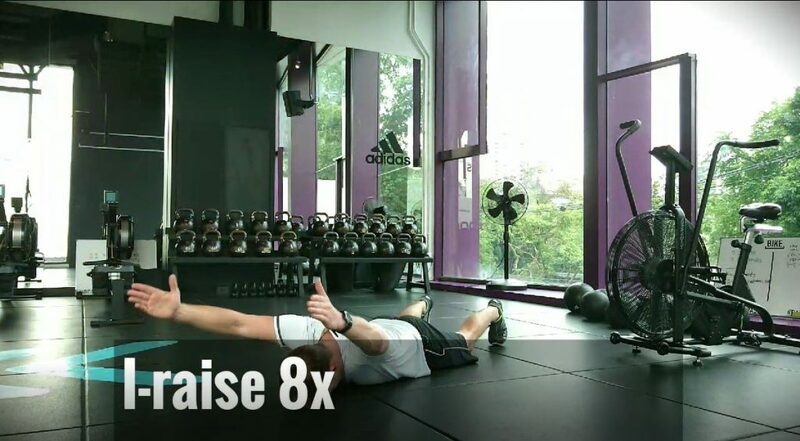 This is a nine exercise circuit. You will perform each exercise 40 seconds and complete as many reps as possible. After the 40 seconds, you will rest for 20 seconds and then move on to the next exercise. Once you have completed all nine exercises that’s one round. 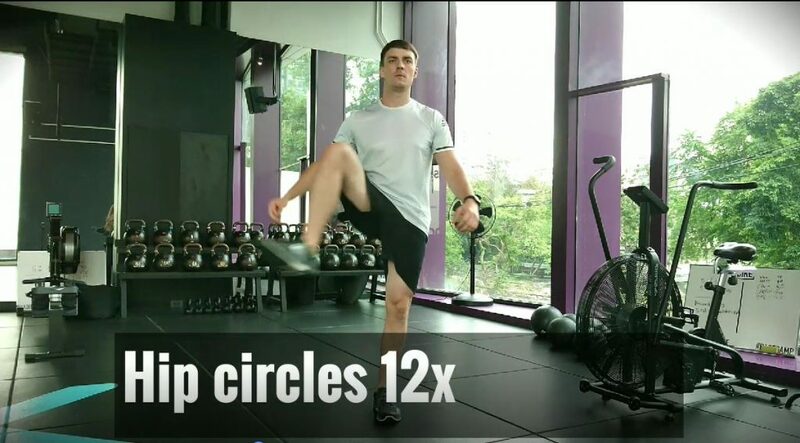 Repeat for a total of three or four rounds depending on time and ability. Rest one minute between each round. Each round should take exactly 10 minutes. Alternate the two strength workouts every other day 2-3x per week and the circuit routine can be done on non-strength days. I always recommend at least one rest day per week. You can always throw in a run or another type of cardio exercise to change it up as well. The idea is to keep it flexible. Unless you are training for a specific event, it’s best to keep it fresh by changing it up. 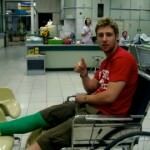 This will reduce the chance of injury and stagnation. I hope you enjoyed the post! If you are interested in learning more please check out my website at jeffsmithfitness.com. I have an extensive blog on everything health and fitness related including posts about the best equipment for home gyms (with reviews!) and how you can achieve your own body transformation with my online coaching. Have a great one, and remember, Eat Right, Train Right, & Live Awesome! Thanks for sharing a great exercise tips! By following these workout steps one can remain fit not only while traveling but also throughout the life. Thanks for sharing this post. This is the best workout steps and anyone can reduce over fat by following these steps. Thanks for sharing this post. Love the way you make exercise and nutrition so practical. A lot of useful information. Love the pictures and the body weight exercises! Thank you! This is perfect. I’ve been searching all over for good exercises to get back in shape and these are the best ones yet! This is really great for me. Thanks for sharing it! Daily exercise is best to stay fit. These are normal steps which we can try at home to stay fit. Stunning photos you shared. I think every traveler should follow these tips and should do all these workout steps as to remain fit while traveling. What a great post and Exercise is best to stay fit. You doing well and simple steps of workout. These are very useful tips for every person to stay fit. 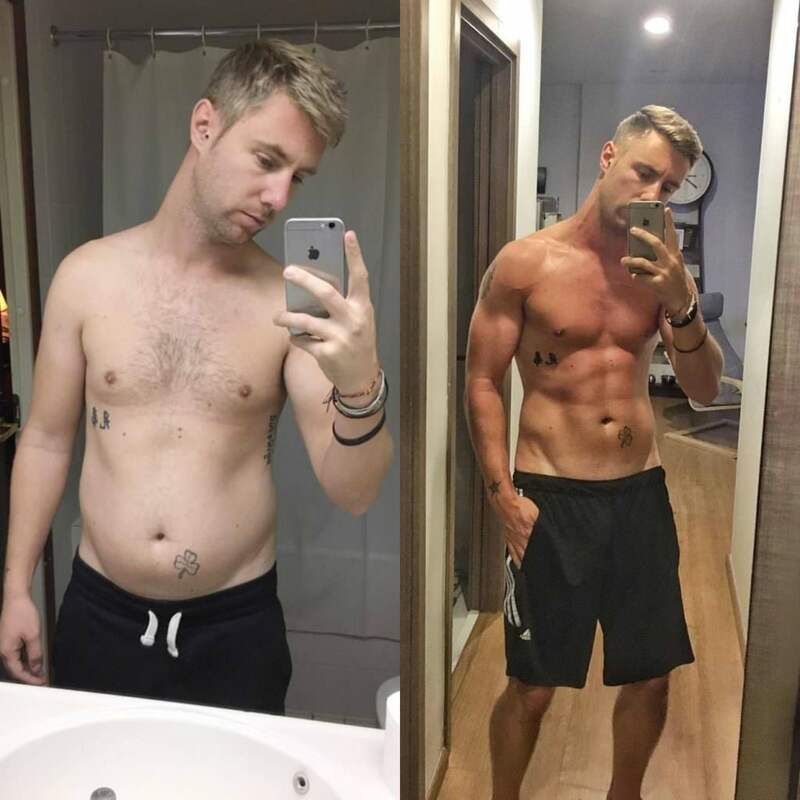 I really like your post where you post for fitness. In your pictures every steps is easy to workout. It really helpful for me. Thanks for sharing with us. Exercise is best to fit always and you shared good reasons to enjoy. These steps are normal and we can do these anywhere. Great article. Going to the gym on the vacation is too time consuming when there are so many things to do and see. Thanks for sharing it. There are various things which people wants to do, but starting your day with some exercise is the most rejuvenating factor for all of us. 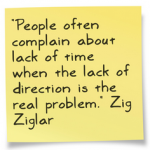 Thanks for sharing this post, glad to read this motivational information. These ideas are great. I agree, much better chance that I’ll do something short in the room than go to the gym. Thanks for great idea. Good steps you shared to stay fit at the hotel room during traveling. We can easily do these steps anywhere. These are really very awesome tips which is to be followed by every traveler during the tour. Buddy, you are doing very amazing thing by motivating people. These are very useful tips for every person in this World. 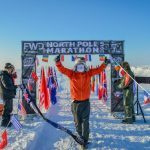 Glad to know these amazing tips, one can stay fit all around the world by following them. Thanks for sharing these tips. Exercise is best to stay fit and you shared a good post about exercise which is the best to stay fit during traveling. Yoga is another good thing to stay fit. 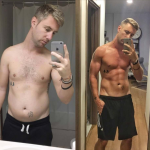 This is an really very awesome post and amazing workout tips, these steps can be done anywhere they will not require any particular area to do.